In the first place, Cranford is in possession of the Amazons; all the holders of houses above a certain rent are women. If a married couple come to settle in the town, somehow the gentleman disappears; he is either fairly frightened to death by being the only man in the Cranford evening parties, or he is accounted for by being with his regiment, his ship, or closely engaged in business all the week in the great neighbouring commercial town of Drumble, distant only twenty miles on a railroad. In short, whatever does become of the gentlemen, they are not at Cranford. Cranford is an episodic novella, or a novel-in-stories, about the small town that gives it its title and its mostly female, unmarried, of a certain age, and impoverished but genteel population. The story is narrated by Miss Mary Smith, a young woman who doesn’t live in Cranford herself, but who keeps visiting the town because of her friendship with some of the Cranford ladies, particularly Miss Matty Jenkyns. The first few chapters of Cranford could probably work as short stories, but as the story progresses, new episodes become more and more dependent on what came before. The first thing you need to know about Cranford is that it’s laugh out loud funny: literally so, in a people-around-you-will-give-you-Looks-and-ask-what’s-so-funny sort of way. This does not of course mean that it isn’t also serious, or that there aren’t plenty of moving, emotionally resonant little moments. The town of Cranford has a bit of an Avonlea feel to it, and Gaskell’s mix of humour, sorrow, irony and tenderness is not unlike L.M. Montgomery’s. What I liked the most about Cranford was the fact that it unapologetically focused on usually undervalued people and stories. The ladies of Cranford may be unlikely heroines, but look and behold, they do have stories to tell, and they’re not only interesting but universally human. Cranford is a story about what goes on in the hidden domestic sphere; in the private world of unmarried women; in small and seemingly uneventful towns. All these are settings where most would assume nothing of interest could ever happen, but Gaskell clearly takes great pleasure in proving them wrong. The more we get to know these characters, the more this “strict sense of propriety” is eroded, and the more their surface level prejudices – against “trade”, or foreigners, or people who marry “below their rank” – are challenged. Cranford has the same warmth, compassion and humanity I so loved about North and South. Yes, people make up rules about what is Proper and what is not; about who is one of Us and who is one of Them, and they vow to show to mercy to those who fall outside the lines they draw. But in Cranford they’re always meeting living, breathing exceptions that make all these rules fall apart and force them to redefine these lines. Rigid and abstract ideas about propriety become much more flexible when confronted with real human beings – as they well should. Question: how good is the 2007 BBC adaptation? I don’t normally like movie tie-in covers, but I saw one of Cranford the other day, and I have to say it looked just right. Judi Dench perfectly matches by mental picture of Miss Mattie. I’m seriously considering adding both this and North and South to my Christmas wishlist. The Cranfordians had that kindly esprit de corps which made them overlook all deficiencies in success when some among them tried to conceal their poverty. When Mrs Forrester, for instance, gave a party in her baby-house of a dwelling, and the little maiden disturbed the ladies on the sofa by a request that she might get the tea-tray out from underneath, everyone took this novel proceeding as the most natural thing in the world, and talked on about household forms and ceremonies as if we all believed that our hostess had a regular servants’ hall, second table, with housekeeper and steward, instead of the one little charity-school maiden, whose short ruddy arms could never have been strong enough to carry the tray upstairs, if she had not been assisted in private by her mistress, who now sat in state, pretending not to know what cakes were sent up, though she knew, and we knew, and she knew that we knew, and we knew that she knew that we knew, she had been busy all the morning making tea-bread and sponge-cakes. I have often noticed that almost every one has his own individual small economies - careful habits of saving fractions of pennies in some one peculiar direction - any disturbance of which annoys him more than spending shillings or pounds on some real extravagance. An old gentleman of my acquaintance, who took the intelligence of the failure of a Joint-Stock Bank, in which some of his money was invested, with stoical mildness, worried his family all through a long summer’s day because one of them had torn (instead of cutting) out the written leaves of his now useless bank-book; of course, the corresponding pages at the other end came out as well, and this little unnecessary waste of paper (his private economy) chafed him more than all the loss of his money. Envelopes fretted his soul terribly when they first came in; the only way in which he could reconcile himself to such waste of his cherished article was by patiently turning inside out all that were sent to him, and so making them serve again. Even now, though tamed by age, I see him casting wistful glances at his daughters when they send a whole inside of a half-sheet of note paper, with the three lines of acceptance to an invitation, written on only one of the sides. I am not above owning that I have this human weakness myself. String is my foible. My pockets get full of little hanks of it, picked up and twisted together, ready for uses that never come. I am seriously annoyed if any one cuts the string of a parcel instead of patiently and faithfully undoing it fold by fold. How people can bring themselves to use india-rubber rings, which are a sort of deification of string, as lightly as they do, I cannot imagine. To me an india-rubber ring is a precious treasure. I have one which is not new - one that I picked up off the floor nearly six years ago. I have really tried to use it, but my heart failed me, and I could not commit the extravagance. Also! Have you signed up for the 2010 Book Blogger Advent Calender yet? The calender is now in its fifth year, and it’s a perfect chance for bloggers from around the world to share their Holidays traditions (whatever holidays they celebrate). I had a lot of fun participating in the past three years, so I thought I’d spread the word so those of you interested don’t miss out. I LOVED the BBC adaption, well the first series anyway - I was gripped by it! I have not read the book so am not sure how faithful it is, but it has such an excellent cast that it is worth watching just for that. This sounds wonderful! A pretty good snapshot of society at that time. But I wonder if a man would ever pick this up to read? Verity: I think I'll be adding it to my wishlist for sure, then! I loved Cranford. It's such a comfortable, comforting book. I have just started reading Lark Rise, the first in the Lark Rise to Candleford autobiographical trilogy by Flora Thompson, and I am getting Cranford vibes from it. I was already giggling when I read the summary :D I was actually just looking at the adaptation in the library yesterday but then decided I wanted to read the book first. It did look promising though. Delightful, Ana! Thank you. This is one of those I've heard of, but really didn't know what it was about. Have you watched Lark Rise to Candleford? If not, that's another BBC adaption you should try to get a hold of! I started watching the adaptation, but within half an hour some poor man had fallen out of a tree and broken his arm and was then screaming on a kitchen table having surgery and.... well, I had to go out of the room and do something else. I am a complete wimp when it comes to televisual pain and agony, however, so you may well be perfectly fine (and people went crazy for the series here when it was broadcast). It's sort of put me off reading the book, although I doubt Elizabeth Gaskell was quite so vivid in her descriptions... and I mean this in a good way! I also got L.M. Montgomery vibes while reading this. The things I enjoyed most, besides the humor, were the times when they overstepped lines of propriety for something more meaningful. I'm hoping to read North and South soon! I started this book on audio, to listen to when I was exercising, and for some reason, never got to finish it. I was loving it, but the audio version just wasn't for me, so I bought a paper copy and am going to be starting back from the beginning. I agree with you that it is the perfect mix of funny and serious, and it is my favorite Gaskill so far. Great review, and I am so glad you loved it! I didn't know it was funny...this is definitely the next Gaskell I will try. litlove - that scene ain't in Cranford! This is a gentle novel. Although the narrator has a sharp wit. Cranford is a true ode to the beauty of small things. The adaptation is lovely and I think even Ms. Gaskell would not be ashamed of it. What did you think of Mr. Holbrook? He was one of my favorites. I love the hell out of Cranford. Seriously, it's a Golden Girls for the 19th Century. Rockin review, and I guffawed over the string and envelopes passage as well. 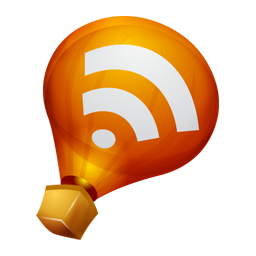 I remember when a lot of blogger read this awhile back. I really wish I could see the appeal in these kinds of books, (not the subject matter which I LOVE but the time period) because you always write so convincingly about them. Oh, I'm so glad to hear that you enjoyed this books so much AND that it made you laugh out loud. 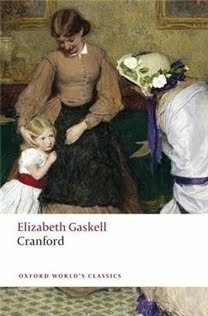 I have been wanting to try Gaskell for a while but had a read a few reviews suggesting that Cranford was rather bleak and small and felt it might not be the best place to start. You've definitely lit a fire under me to finally try this wonderful author! I've read quite a few posts on Cranford in the past year, but none has made me want to pick up the book like yours did. I think it's your focus on the humor and humanity in the book...and that passage about string, envelopes and rubber bands ("a deification of string"!) cracked me up. Of course, the comparison to Avonlea didn't hurt, either. Thanks for kindling my interest in this one! This is not the first book this year that I've read, and before I get a review written, you post about it as well. We are on the same reading vibe. I quite enjoyed this as well, for all the same reasons. Good call on the LM vibe too. I wouldn't say I laughed out loud, but I certainly smiled and was tickled a few times. I would definitely like to read more Gaskell, including this one. I also loved the BBC version, and I really didn't expect to. It sounds like the book and the miniseries have a very similar spirit. I hope you try the BBC adaptation too. I agree that it's really just wonderful. Cranford is already on my list of classics to tackle next year, and your review just makes me want to read it even more. I had no idea it was funny -- that's wonderful! What a wonderful review! You really put your finger on what is so magical. My mother, a former English professor who can no longer read, loved the BBC adaptation. I am giving her an audio of Cranford for the holidays. I really need to read this book in the near future...I think I would really like it. Great review! I'm so glad you liked it, I knew you would! In some ways, apart from my personal attachments, as a book I almost liked this MORE than the Anne of Green Gables books, because the narrator is just distant enough from the action, that you don't feel as if you have to agree with the opinions to appreciate their beauty, you know? I thought this story was so sweet and honest, sort of the definition of what you were talking about with me ages ago, how a funny book can be meaningful :). And to Ms Sandy above - yes, I'm of the male persuasion, and I both picked it up, and loved it :). Honestly, I find the thought that I wouldn't kind of baffling. Do women not pick up books where most of the characters are men? This sounds really good, I have this author in my TBR. I like finding an unlikely heroine within a story. I have been meaning to watch North and South for ages now. A few friends rave about it to me. This sounds like fun! I've been wanting to read some Elizabeth Gaskell, and this sounds like it could be a fun place to start. I so loved this book. I thought it such a wonderful portrait of a community both noble and flawed, but honest about both. When I glanced at the first paragraph of this post I definitely thought it said "epistolary" rather than "episodic", and I almost choked on my water with excitement. I still want to read it even though it's not epistolary! I haven't watched Cranford yet, just heard thousands of glowing reviews of it. If it's anything like North and South it is hella worth getting. Does your library perhaps carry it? "Cranford is a story about what goes on in the hidden domestic sphere; in the private world of unmarried women; in small and seemingly uneventful towns". I read Cranford earlier this year - my first Gaskell - and loved it! I like how the narrator gets caught up in the dramas herself, like when the ladies are paranoid about robberies in the village and she gets that way too. Your Avonlea comparison did it for me - I'm putting Gaskell on my TBR list. I never knew it was funny! I now want to read it, I didnt expect it to be something that was funny - in my head it was something that would be a bit prim and proper and I don't always go for that. Maybe thats why I divert myself from Jane Austen? Gaskell is the next author I want to read, but I hadn't known what her books were about. This sounds almost like Stepford Wives reversed! Very unlike what I had in mind, and I wouldn't had guessed it was humorous. Agree the adaptation is fab! And you can probably get the Christmas special two parter - the women get on a train for the first time, so many laughs. I love that everyone quote that first passage when they review this book, because it is just delightful (and there's a little bit of guilty glee to be had from hearing mens death described in a comic comment - weren't the ictorian novelists just so ace about killing people off with a bit of a wry smirk?). This sounds like something I would definitely enjoy! I have realized recently that I love books featuring women, about women, by women and all that! I hope you like the movie as well. I didn't love this when I first read it but I've loved it more and more as time passes and I think about it! I enjoyed the BBC but it adds a few other novels to the story to add more plot to it. I haven't read those but I have all the Cranford Chronicles on my shelf and I'm going to reread them for my book club in a few months! You liked Cranford, hoorah! I read it this year and absolutely adored it. Very similar to Avonlea and Highbury from Emma, I love books with small old fashioned rural settings like that. What I really liked about this book was that the focus is on the old women for a change, who are usually passed over in fiction in favour of the young. I especially liked Miss Matty, at the beginning it seems she's let other people run her life and things have passed her by, but at the end she's such a darling, I want to adopt her as my grandma! I have a feeling I'd love this author. Do you think I should start with this one or North and South? Hmmm...perhaps I should have picked Cranford for myself instead of Wives & Daughters? I am planning to read all of her books eventually, this will have to be the second I think. Great review. I think I tried to read this after North & South but didn't get very far. Maybe I was Gaskelled out;P However I watched the TV series and absolutely loved it, so I may go back and try it again since you loved it so much! I read the novel after watching the series and found it to be true to the spirit of the story, though it does not follow Gaskell's plot to the letter. It's just as charming as the novel and Judi Dench is absolutely perfect as Miss Matty, as are the other ladies (I especially love Imelda Staunton's Miss Pole). The BBC series combines Cranford with several lesser known stories that were also set in Cranford. Turns out they are lesser known for a reason. When the series is about "Cranford" it's lots of fun. When it moves on to the other, more conventional stories it's not so great. But it is fun to see all of those great actresses chewing the scenery. Ok, this is getting weird: I have been thinking about the BBC adaption because I saw the dvds on sale last week, and I love the North and South adaptation so much. I can't find North and South to read anywhere, but I can find Cranford. So, I think I will go pick it up and read it, get the DVD for Christmas and hope I find North and South the book soon! lol Excellent review about how Gaskell writes about the quiet lives of women in the domestic sphere, something I am interested in.